Our crowdfunding campaign has ended, but you can still support the Bruin Newsroom by clicking here. Bruin Newsroom (BNR) is a new video media outlet covering the culture, politics and entertainment of campus. By tailoring compact, factual and engaging content, BNR effectively meets the contemporary way college millennials consume information best. With strategic content dissemination on social media, this innovative outlet has amassed a growing average viewership of over 20,000 views per video without any significant funding or infrastructure. Founded at the beginning of 2017 with an acute understanding of an increasingly changing media landscape, a team of passionate and hardworking students recognized this opportunity and came together to establish a contemporary outlet, providing Bruins with their pulse of campus. After just over a year, Bruin Newsroom has accomplished much, but our potential for improvement is strong and ready for a spark. In our short life, BNR has highlighted the diversity of campus through the faces of foreign students and paid respect to the basketball legend and UCLA alumni, Kareem Abdul-Jabbar. We’ve informed students about campus happenings with videos such as our Spring Sing review and showcased new programs like Bruin Bike share. 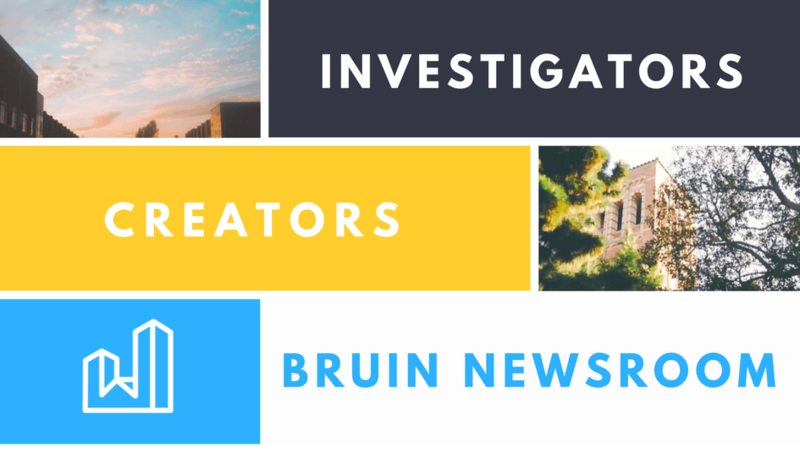 We remain committed to our goal of providing bruins with relevant and factual information and truly believe that Bruin Newsroom has the power to create a sense of community at a school with over 40,000 students. Now is the time to look towards our community in order to propel our ability to create truly powerful content we have the knowledge and passion to produce but lack the means to accomplish. Ink and paper may be relatively inexpensive, but that’s not our domain. Buying our own production equipment for quality videos is largely out of reach for a self-funded organization like BNR. For the past year, our talented team of content creators, cinematographers, and editors have relied on borrowing and self-funding every project we’ve created. With your help, we can raise the bar on the quality and quantity of our videos, support our efforts to provide truthful and factually correct information, and continue to grow our online community of viewers. Most importantly, donating to our campaign will allow BNR to increase the collective consciousness of campus by bringing students, faculty, and alumni alike together through illuminating the stories that are at the heart of UCLA’s optimistic mosaic and future. Your support allows us to maintain the day-to-day operations of Bruin Newsroom! Help pay for our online marketing campaign to continue growing our viewership! your donation of $25 translates to roughly 3,500 new views on a specific video. 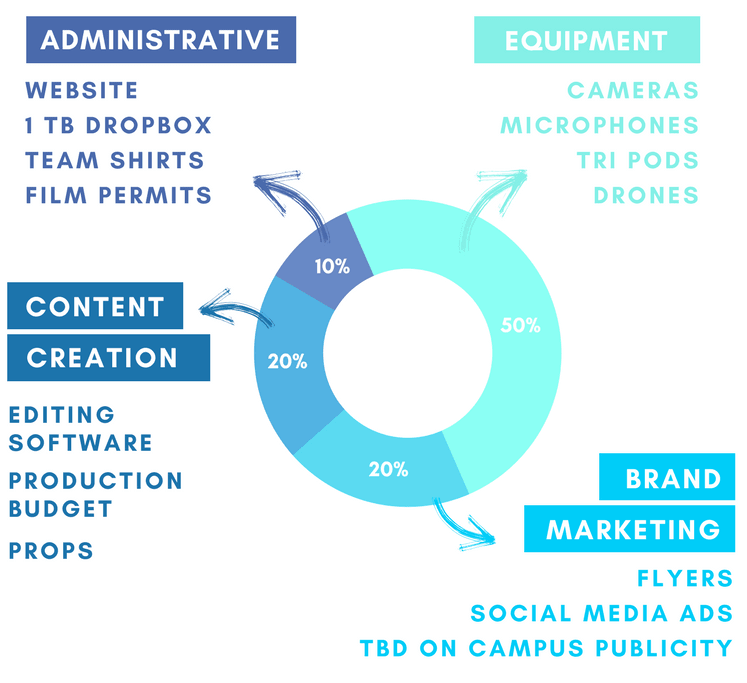 Encourage better content creation by enabling our team to purchase necessary production equipment! Microphones etc. Receive a Behind the scenes tour on the set of a yet to be determined BNR video shoot and earn a place on our major Donor page. Receive a custom Bruin Newsroom T-shirt and a spot on our Major Donor page. (A $230 tax deductible gift). Your donation will allow us to purchase a high quality drone equipped with camera's that will allow us to produce incredible content! 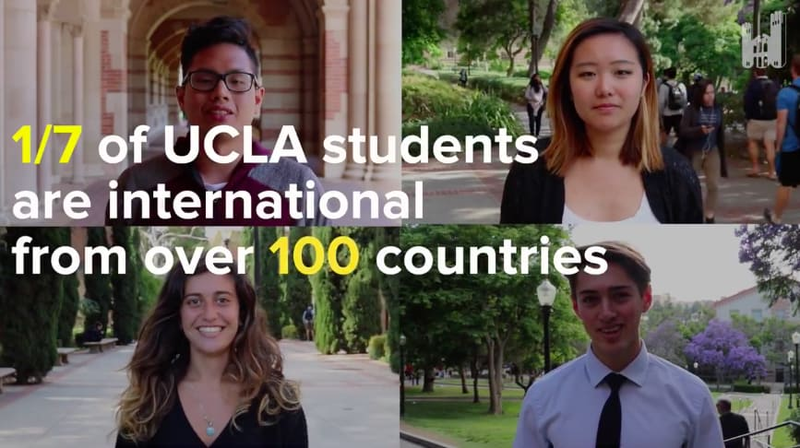 Receive a shoutout in an upcoming video, a custom Bruin Newsroom T-shirt and a spot on our major donor page for your generous support! (A $480 tax deductible gift).